The World Youth and Student Travel Conference (WYSTC) is the leading trade event for the global youth, student and educational travel industry. WYSTC provides a unique business development opportunity for all senders and receivers operating in the accommodation, work and travel, au pair, volunteer and study abroad industry. Since its inception in 1992 as the annual event of WYSE Travel Confederation, youth and student travel professionals have been gathering annually to trade, network and take part in seminars and workshops. After four successful years in Amsterdam, STAY WYSE will now expand to the Americas. This second event, called STAY WYSE Miami, will bring together businesses involved in the youth travel accommodation sector from North and South America for two days of trading, education and socialising. Over 100 attendees from the youth travel accommodation sector. The STAY WYSE Hostel Conference brings together businesses involved in the youth travel accommodation sector for two days of trading, education and socialising. Now in its third year the Conference has rapidly established itself as the place to meet new trading partners; from buyers, to operators, investors and suppliers. The STAY WYSE Conference is an annual event of WYSE Travel Confederation. Over 300 attendees from the youth travel accommodation sector. The Work Experience Travel Market and IAPA Annual Conference (WETM-IAC) is the joint event of WYSE Travel Confederation and the International Au Pair Association (IAPA) and provides a unique, cost effective, business-to-business opportunity for senders and receivers serving all aspects of cultural exchange, au pairing, volunteering, internship and work experience. WETM-IAC delivers an exceptionally targeted forum for your organisation to establish and strengthen sector-focused partnerships, gain industry intelligence and tap into emerging global markets. 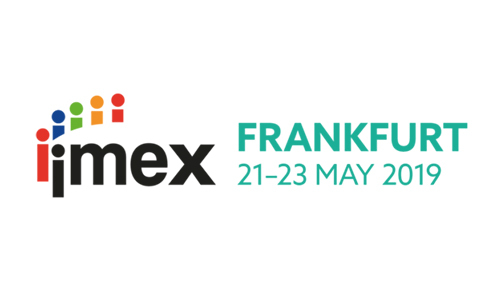 Imex Frankfurt offers four action-packed days: attendees can meet exhibitors from across the world, gain insight and inspiration from industry experts and innovators, and join peers at several networking events. Our events team will be attending IMEX to meet with potential new destinations for our events which take place all over the world. Contact us if you would like to schedule a meeting. Once again we are proud to be championing the youth, student and educational travel industry at ITB Berlin, which takes place from 4 – 8 March 2020. In addition to presenting sessions on the youth hall stage, where we will provide the latest insight on current topics, we will be hosting a number of workshops and a networking reception at our stand in the youth travel hall, look out for more information. Come along to meet the WYSE Travel Confederation team and a number of WYSE Travel Confederation members who will be co-exhibiting with us in hall 4.1. Even better, why not co-exhibit with us or present a workshop?